The Clarksons Society was first conceived as an idea during a meeting between Del White of the Nia Project, a cultural heritage organisation based in Ipswich and historian Maureen James. The idea grew over time and a number of further meetings between the two led to the realisation that the Society could be a viable and useful project. 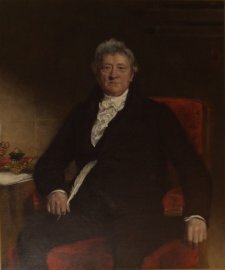 The plan to start a Clarksons Society was then circulated amongst people interested in the Clarksons and the study of Abolition and it received support and encouragement from a number of people including Dean Smart (University of the West of England), Peter Jones (Suffolk Museum Service), Ellen Gibson Wilson (biographer of both John and Thomas Clarkson), Robert Bell (Assistant Curator of Wisbech & Fenland Museum); and Christina Swaine (Fenland Tourism). Time passed and the reality of having face to face meetings became more and more less likely due to distances to be travelled and the busy lives of those involved and with the pressure of the Bicentenary weekend looming, Maureen, with the help of her partner Stuart Broad circulated information, founded the web-based society and put this basic website together. The project has since received the support and encouragement of the Equiano Society and also from the historian Adam Hochschild. The information posted on this site does not claim to represent all the views of those supportive of the Clarksons Society. Neither the Clarksons Society, nor the contributors to the site can be held liable for the consequences of using data from this site. Copyright on all contributions to this site remains with the authors and all rights are reserved. It may, however, be freely distributed and quoted - accurately, and with due credit. This is a work-in-progress so please report any problems, typos or other errors and omissions to webmaster@thomasclarkson.org, many thanks in advance.